Many congratulations to Guy Wilkinson who has been elected a Fellow of the Royal Society. 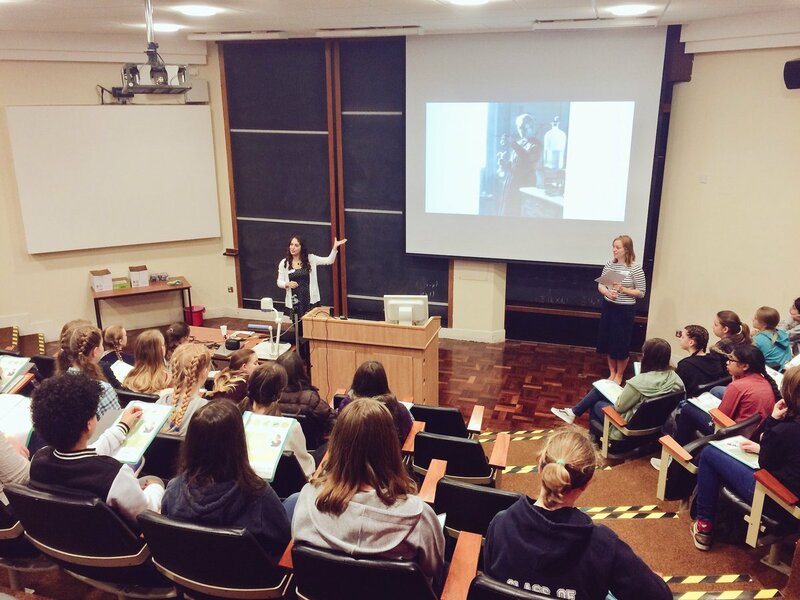 On Sunday 29th April, Oxford Physics welcomed 80 girls to the department to get excited about science! 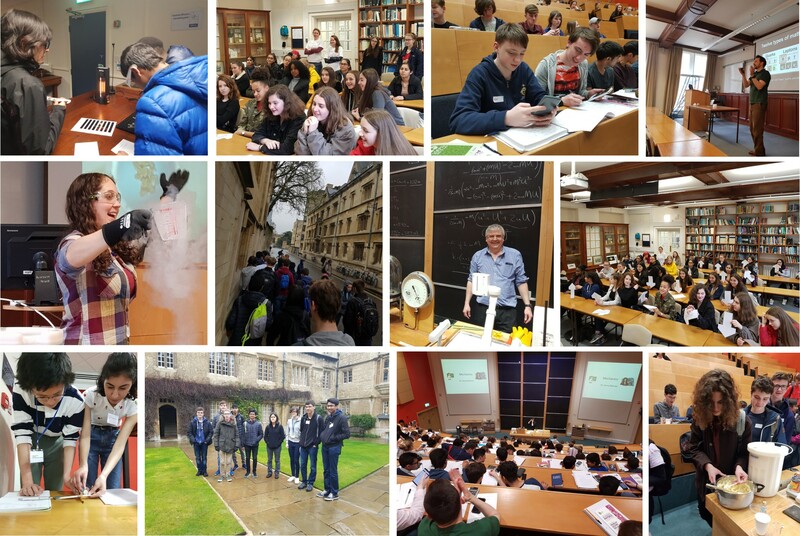 Aged 11 – 14, the girls came from around Oxford and beyond, and spent the day trying their hands at STEM activities, meeting scientists and exploring science. An Oxford team has succeeded in stabilising the arrival time of a ‘relativistic’ beam of electrons, travelling at almost the speed of light, to 50 femtoseconds. This overcomes one of the major challenges facing the proposed Compact Linear Collider (CLIC). Patrick Irwin, Professor of Planetary Physics (from the Atmospheric, Oceanic and Planetary Physics group here in the Department of Physics) and global collaborators spectroscopically dissected the infrared light from Uranus captured by the eight-metre Gemini North telescope on Hawaii's Maunakea. They found hydrogen sulphide, the odiferous gas that most people avoid, in Uranus’s cloud tops. The ATOM Festival of Science took place in Abingdon-on-Thames on March 10-18 2018. The festival, in its fifth year, celebrated Abingdon as the centre of science in Oxford and the Science Vale, including the Harwell Campus and Culham Science Centre. The festival delivered diverse, imaginative and family-friendly events to allow local people to discover world-class science and technology taking place on their doorstep, as well as learning about the companies, organisations and scientists who make it happen.